This podcast script was written for a miniseries on Thrillers for Gentlemen. I was looking at the thriller or spy novel that was masculine without being brutal; written about, and possibly also for, men of a certain generation who understood the ethos of the gentleman’s club, and worked within its rules. I’m not saying that way of life would work nowadays, but for its time, these standards are very attractive. These thrillers are tough, but with good manners. I’ll be posting the companion podcasts in future weeks, on Dornford Yates, Geoffrey Household, John Welcome and Ian Fleming. I’ve been writing about John Buchan since the 1980s. I started reading Buchan as a schoolgirl, and started researching him before I took my first degree, and was given my PhD for my thesis on his fiction. I edited the John Buchan Journal for eleven years, and I’ve published – among many other things – three books on his writing. I’ll be wittering on about him on a Radio 4 programme sometime in summer 2015 (I was on a Radio 3 programme about him in 2014), and I’ll be giving the Caledonian Club lecture on his writing on September 2015. I do try to wean myself off researching him, but it’s hard. Buchan’s writing is so rich, intriguing and entertaining, I think I’ll never stop working on him. Buchan is best known as being the creator of Richard Hannay in The Thirty-Nine Steps. 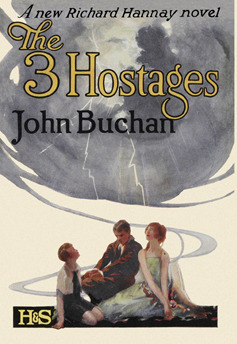 The Three Hostages is his fourth Hannay novel, in which the now rather stuffy and middle-aged Sir Richard encounters a modern night club and an Indian guru at Claridges on his quest to rescue three innocent hostages from a ruthless and unknown megalomaniac. The year is 1923, and Hannay is just beginning to relax. He’s come a long way from being a beat-up engineer from South Africa. Only a few weeks after his arrival in Britain in 1914, he was on the run, wanted by the police for a murder he did not commit, and by a secret gang of spies for a little black book he’d taken off the body of the man they murdered, and left in his flat. Naturally, for he is super-resourceful and a terrific getter-out of trouble, Hannay solves the mystery of the thirty-nine steps, and saves his neck. His next adventure was a year or two later, in the First World War, where he led a daring mission to find out what the Germans were planning in Constantinople, and to stop it. That was in the novel Greenmantle. A year or two after that, in Mr Standfast, Hannay was solving another mystery for the War Office, chasing German spies up and down Scotland and into Switzerland, changing disguise roughly every five pages, and finding the girl of his dreams as well. Now its peacetime, and he has a knighthood, a wife, a son, and a country estate. He’s been walking around the woods and fields, checking up on his land, and planning the alterations that need doing before the summer. It’s spring, and all is at peace. Except, that, of course, the world is not at peace. The war may have ended, but mysterious international masterminds who have emerged from the war madder, and badder, than before, are planning to unleash economic chaos onto a war-torn Europe. To keep the authorities off their backs, they’ve taken hostages: a young man, a young woman, and a little boy. These three will be killed unless the gang is left alone, and naturally this can’t be allowed to happen. Hannay has become a bit of a fixer for the government and the police, so his task for this novel is to find the hostages against a ticking clock. He has no idea where to start. This is a novel set in the heart of 1920s urban civilisation. Very little of the novel’s action happens in the countryside, except for the gripping ending on crags in the Scottish Highlands. I think that was only put in because Buchan wanted a man-hunt to end the novel. In this novel we explore areas of the city with Hannay, as he roams London’s seedy underbelly looking for clues in a landscape he doesn’t really understand: places like Gospel Oak and Fitzrovia, which are now very respectable and rather smart places to live, but in the 1920s were really pretty run-down, haunts of the disaffected and home to those struggling not to drift down any further in the social scale. Buchan creates an atmosphere of London’s sad decay, and war-damaged poverty. In the nightclub scenes, he surpasses himself. This place is so fashionable that it’s positively shabby. 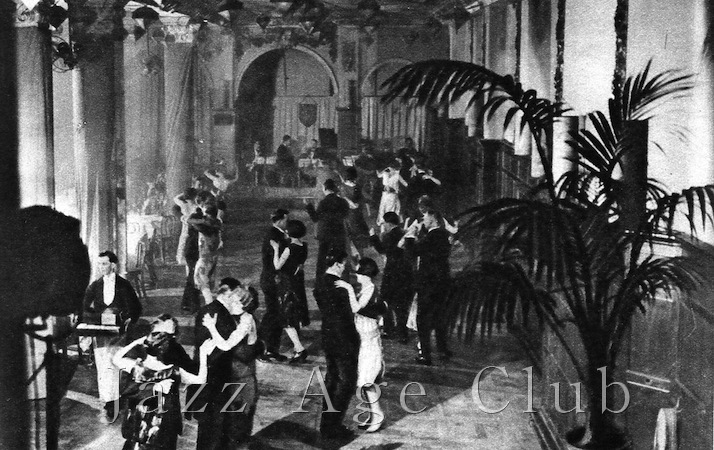 Hannay is taken there by Archie, his bright young friend who can’t dance any more due to a war wound, but wants to see the latest fashions and to see again where the beautiful people dance. They’re a bit fish out of water, these pillars of the establishment, as they sit sipping overpriced liqueurs in their dinner jackets, watching bored-looking people jigging around on a tiny dancefloor. Archie spots only one dancer really worth watching, but Hannay is more concerned about her minder, a tough-looking customer whom he recognises, because he’d seen this man only the day before as the butler in the house of a very important and influential politician. Other people also wander about the book in disguise. There’s the Indian guru, who comes to Claridges to hold court, to receive his acolytes, and to grant a private audience with a very important man, which Hannay witnesses, horrified at the evil he can sense seeping out from the guru’s soul. When Hannay sees this guru again, he tries to attack him, but is brought up short when the guru tosses his turban back as a deflecting weapon, and is revealed as … well, I won’t tell you. You’ll have to read the book yourself. Hannay flies to Norway to track down another hostage, and sees not one but two people he really did not expect to encounter. There’s a man whom he last saw in a Harley St consulting room, giving Hannay medical advice. There’s also a man whom Hannay last saw in Constantinople during the war, a German whom Hannay rather liked, and now finds that he can trust implicitly. This is rather hopeful, that only five years after the end of the war, Buchan can write comfortably about making friends with a former enemy, and trust in the inherent goodness of people. 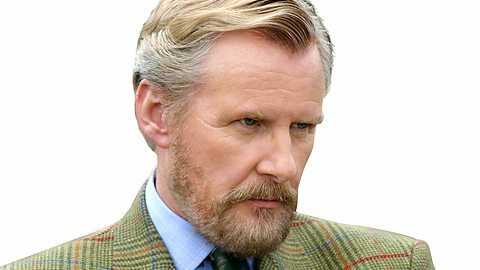 Hannay’s first ally is his own country neighbour Dr Greenslade, who gives him the first solution to the clues that the criminal mastermind is scattering about. But Greenslade, after this first strong showing, is oddly kept in the background for the rest of the novel. Hannay has another great ally, Sandy Arbuthnot from Greenmantle, aristocrat, clubman, adventurer and scholar. He too is a wasted character in this novel because he spends most of his time off-stage, hunting down references in the Bibliotheque Nationale and avoiding assassination. It’s as if Buchan’s roster of characters was so rich, he could afford to throw inventions capable of carrying a whole novel into a one-chapter walk-one role. Would that all novelists were so bountiful in their invention. Hannay’s most important ally is his own wife, Lady Hannay, formerly Mary Lamington of the secret service, and one of the first women secret agents of the 1920s. And she’s a wasted character as well, after The Three Hostages is finished, because, after a tremendous showing in Mr Standfast, and this last burst of professional expertise in The Three Hostages, she is reduced to domestic roles for the remaining Hannay novels; feeding people tea, and being a hostess. She could have been so good, a marvellous role model for women hoping to enter the secret services, for women willing and able to leave Foreign Office desks for a life of subterfuge and disguise. 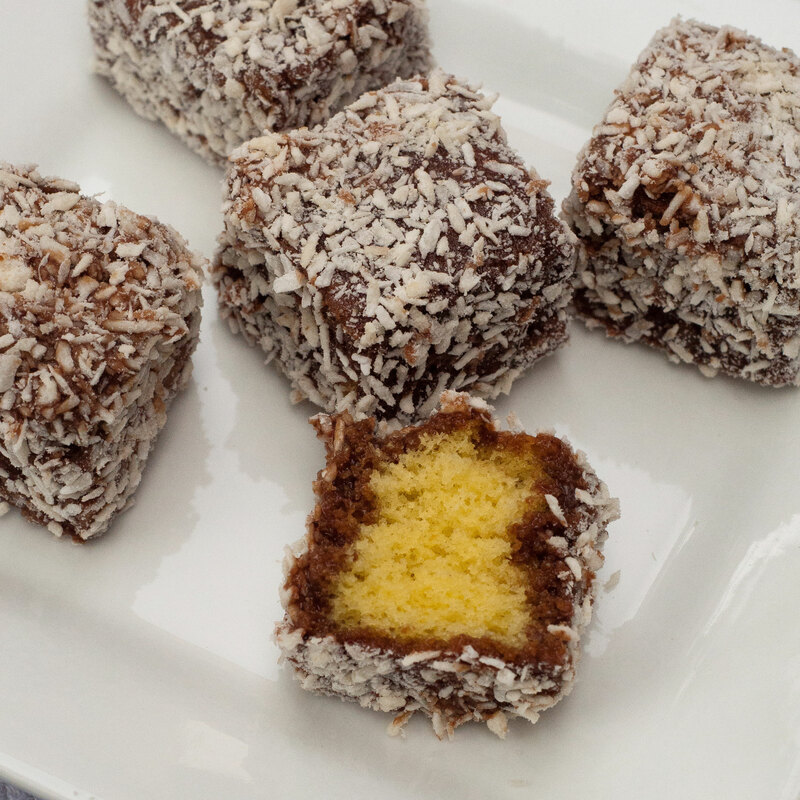 But, of course, all that will not wash. Mary Lamington was created 50 years too early. She would have been a fascinating handler for Modesty Blaise (imagine that: all-female secret service agents in the 1960s), and she would have skewered James Bond with a single glance. She was born to circulate in high society as a secret agent (Lady Penelope! ), but Buchan marries her off to the stuffiest traditionalist clubman in his books, and leaves her in country isolation. At least she gets a terrific final show. In The Three Hostages, Mary makes Hannay take the job on by using emotional blackmail, and she rescues two of the three hostages herself. She play-acts as a foolish and silly mother to prevent the villain even noticing her, and she carefully does not let her husband know what she is doing, because if he did know he would only stop her. Hannay, as a hearty ex-soldier and a fine English gentleman, has rather, shall we say, traditional views about women. I feel sure that Mary Hannay would have used her vote in the 1919 general election. She simply ignores what Hannay might say, returns to her professional training, and just gets the job done. 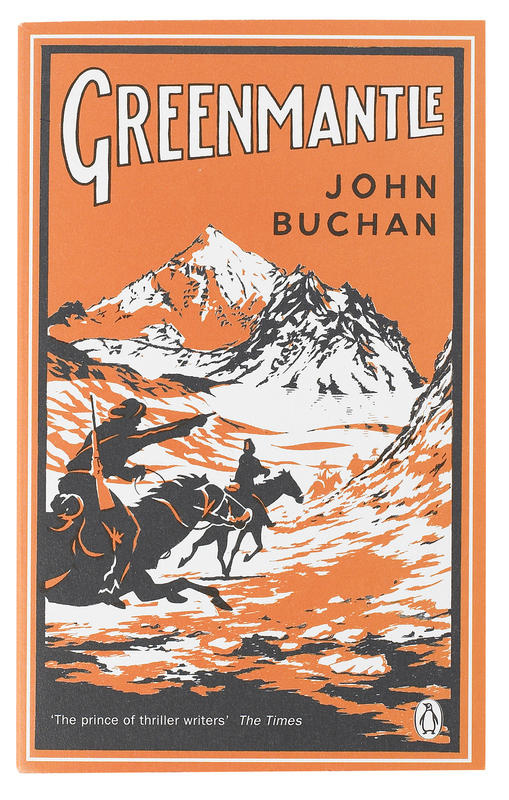 There is much vigorous masculinity in this novel: the all-male lunches, clubs and dinners; the female-free household of the evil mastermind; the rugged 30-mile walks that Dr Greenslade takes for relaxation; and the classic Buchan Highland stalking and shooting episode that ends the novel. Two of the hostages have undergone demasculinisation, which Hannay and Mary have to try to reverse, and the girl hostage is rescued by her very masculine fiancé, which helps soothe his injured pride. But no-one’s masculinity is more secure than Hannay’s, since he simply never thinks he can be anything other than what he is, unlike the nervy and sensitive Sandy Arbuthnot, or the unexpectedly diffident Archie Roylance, anxious about women now he has a nasty limp from the war. Hannay is a tough old buffalo, and cares not two hoots, especially now that he is married and the father of a son. Do read this novel: it’s packed with good things, and is wonderful entertainment. I know from experience that even if The Three Hostages is one of only three novels that you have on a two-month archaeological dig, pre-internet and far away from any other sources of reading, it will keep you sane. Have finally caught up with you and your peregrinations. I look forward to reading your blog; books, knitting and biscuits sound like a great combination to me, but I am sorry to lose new installments of that charming accent. At least I have about 30 of my favorite pods still on my I-pod. Bon voyage! blush! Delighted you have followed me here, and hope to continue pleasing.